Because in western culture, writing and reading is from left to right, while arabic writing/reading is the opposite, chinese is from bottom to top and left to right (correct?) I don’t know about others. Also being left or right handed may be considered, I am left handed and I know it. Is it there a relation? When reading you are performing a trained or learned skill, so if your instruction taught you to follow certain order that's what you do. There is a transfer of this behavior ( or any other learnt one for that matter ),into other types of images and situations,but the degree at which it is transferred depends on both context,cues, and expertise to name a few. So in one way, yes if you are presented with mainly a text based image you are expected to follow your training to some degree. This is but half the picture, the human visual system has evolved to notice and extract things ( or features ) in a picture or real life, things that move, things with edges, moving things, things that were once important, the whole thing and on an on. So in order to analyze an image, there seems to be a complex interplay of attention from both your innate visual skills as well as features from the image that due to their novelty or other feature demand your attention, and sometimes even before that, you are making a decision as to what the image is and how to analyze it. So which direction then ? The resulting lines represent patterns of fixation and are called Scan Paths.They differ from one observer to another and from one image to another, as well as depending on which task the observer is given and context. I am not aware of the same type of studies made with text and mostly text based images and predominantly left right handed subjects, that would probably give us the definite answer, but it is not too far fetched to expect some jumping around the page with periods of directional fixation based on your preferred reading method. 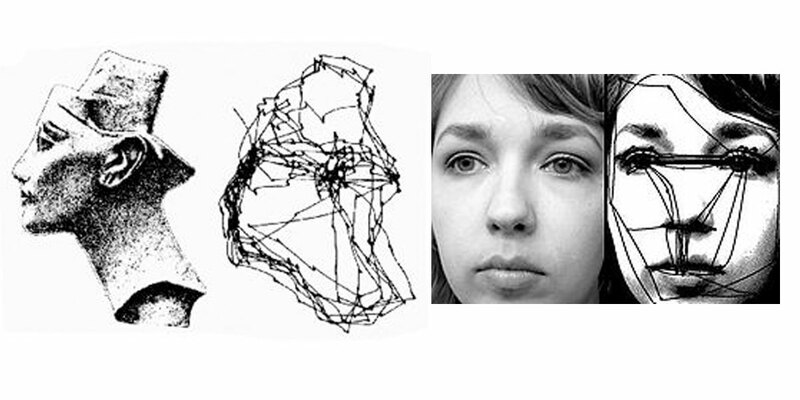 Vision Science (Palmer) 11.2 visual selection: eye movements and attention. A whole chapter that goes into detail. The nefertiti image is from Yarbus, A. L. (1967) Eye Movements and Vision. Basil Haigh (trans.). New York: Plenum Press. The face one ( not sure about the methodology ) from the wiki on saccades. Not the answer you're looking for? Browse other questions tagged cognitive-psychology perception behavior or ask your own question.